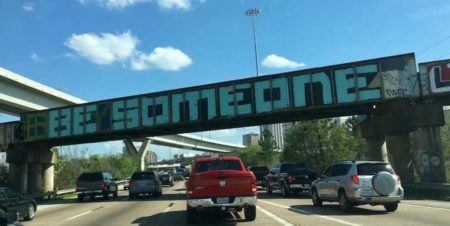 Graffiti has long been associated with vandalism and gangs, but a group in Houston hopes to change that perception. 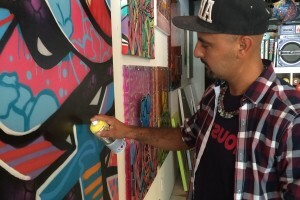 His legal name is Mario Figueroa, Jr., but folks around town know the graffiti artist better as GONZO247. 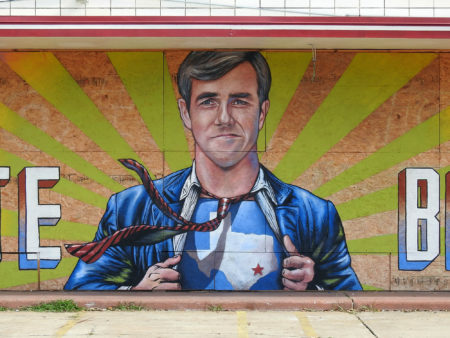 From the outside, his studio just south of downtown Houston blends into the rest of the old strip center. On one side, there’s a bail bonds place. On the other end, a Cajun restaurant. But inside, it’s a reverie of color. The concrete floor is splattered with dried spray paint. 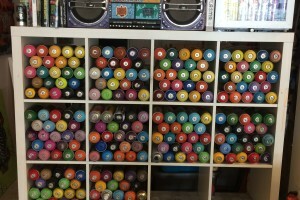 In the corner stand shelves of hundreds of used spray cans. 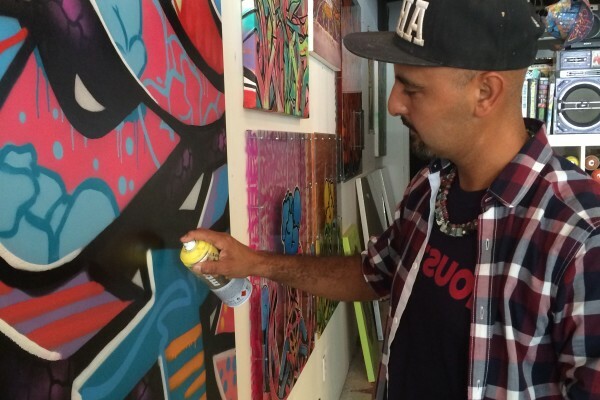 On the walls hang canvases of graffiti in colors ranging from bright fuchsia and tangerine orange, to sky blue. 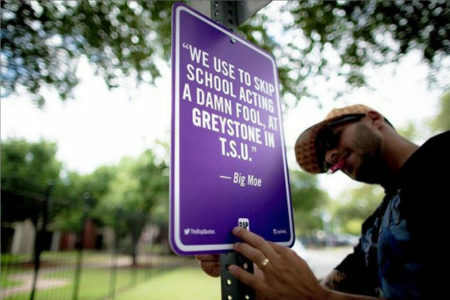 Right now, it’s also the temporary location of the newly-announced Graffiti and Street Art Museum of Texas. It’s the first of its kind in Houston, but Figueroa says the original museums are everywhere. Now that they’ve created the advisory board, the next step is shopping for a permanent location and large warehouse would be ideal. 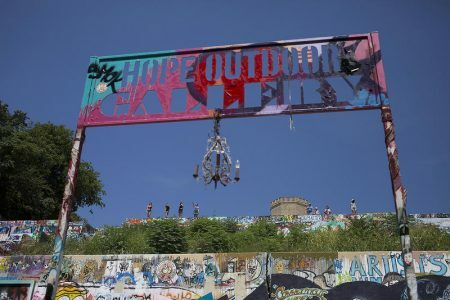 “Something that we can grow into, but that has plenty of wall space for us to show artwork because obviously graffiti can be pretty large,” Figueroa says. 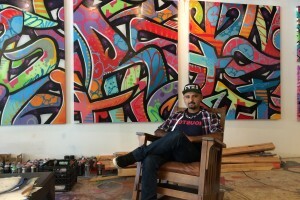 He adds that he wants the museum to have a little bit of everything: Video installations, permanent exhibits, and also traveling shows featuring national and international graffiti and street artists. But there’s an even bigger picture for the museum. 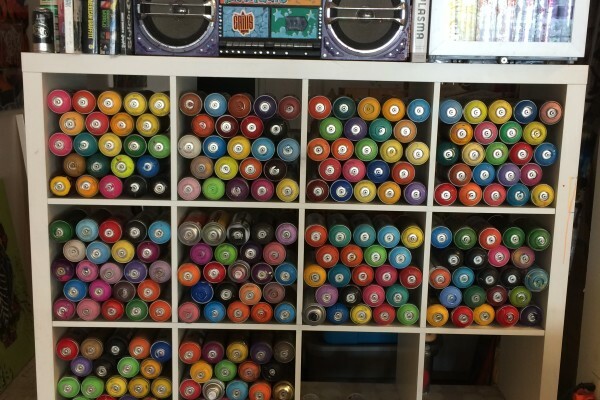 The Graffiti and Street Art Museum of Texas is set to have a permanent space by this January.